The Chattanooga Tri-State Region is home to some of the best cycling in the country, but without a guide or local insight it's not always apparent where to ride. Bikeways of the Scenic South makes it easy to find the best backroads in the region, as well as hidden gems along the way! Bikeways of the Scenic South is spearheaded by the Southeast Tennessee Tourism Association, Velo View Bike Tours and BikeTours.com, in cooperation with government officials, local chambers of commerce and businesses, cycling clubs, and individuals across the region who have donated their time and resources to bring attention to our natural treasures. Bikeways of the Scenic South is intended to be a "living document" that evolves over time and reflects current conditions. Please contact us with suggestions, updates to the route narratives, new points of interest, or anything else that might be helpful to cyclists using this resource. For information about mountain biking trails in our region, check out MTBProject.com and the Chattanooga Chapter of the Southern Off-Road Bicycle Association (SORBA). Southeast Tennessee has more to offer than just world-class cycling. Explore the possibilities and plan your next trip at SoutheastTennessee.com! Find inspiration and countless vacation ideas across the state at tnvacation.com! A very special "thank you" to Bledsoe Telephone Cooperative for their ongoing support of tourism in Sequatchie Valley! Interested in bicycling adventures overseas? Connect with local European guides through BikeTours.com! Looking for a guide or help with luggage on your next bike adventure in the Chattanooga Tri-State Region? Velo View Bike Tours can help! 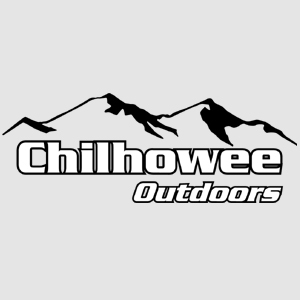 For expert guidance on the backroads of the Cherokee National Forest and Three Rivers Way, check out Chilhowee Outdoors!